Opuntia lata is prickly pear cactus known from central Georgia to northern Florida and east to central Mississippi where it occurs in grassy areas and other openings in pinelands. It is similar to O. mesacantha. O. lata forms a prostrate prickly pear that may branch in all directions forming irregular mats up to 1 m across. Although prostrate, the last cladode on a branch may tend upwards. Cladodes are elliptical or sometimes narrowly obovate or obovate, up to 4-15 cm long, and deep green. They are often lightly scalloped in outline. Spines may be in the margins only where there are 1-2 per areole. Spines are delicate (0.7-0.9 mm in diameter). Flowers are yellow, 7-9 cm wide, and there are many petals. The stigma is white. The fruit is clavate and many seeded 5-6.5 mm long. Seeds are about 5 mm in diameter. The type specimen was collected near Gainesville, FL. 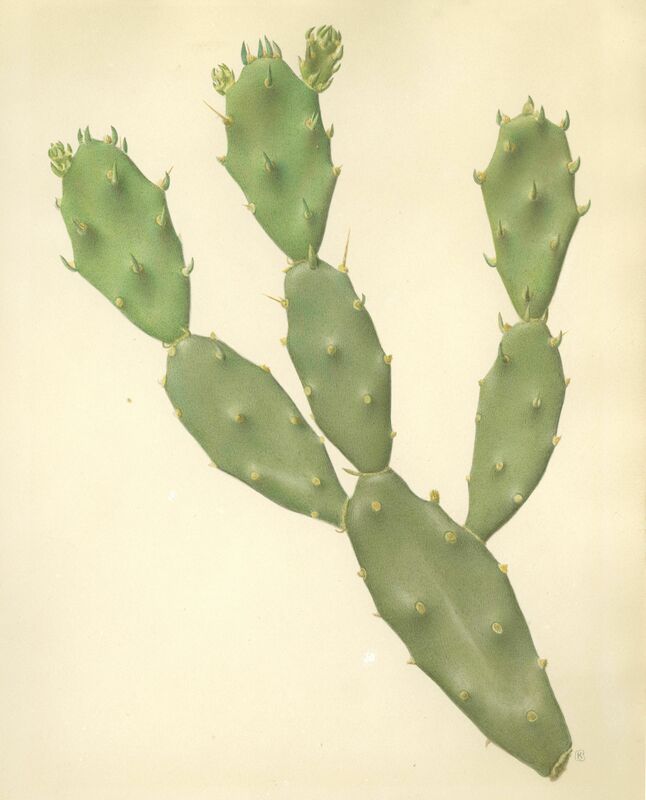 A taxonomic position as a subspecies of O. mescacantha was was proposed (Opuntia mesacantha Raf ssp. lata [Small] Majure). See the original description. O. lata is diploid. O. lata is similar to O. mesacantha upon visual examination. However, the latter is tetraploid. Adanick et al., 2018 (in press) developed a method to measure stomates (size and distance from each other) in the field to differentiate the two taxa.